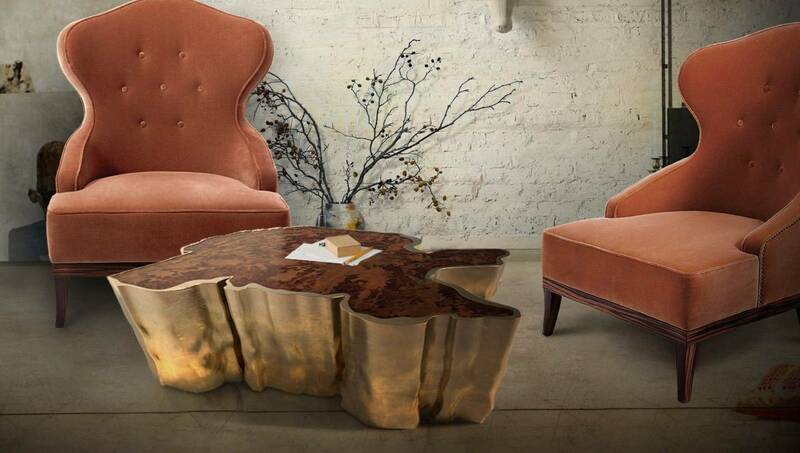 Coffee Tables are furniture pieces that you can find in any contemporary living room. 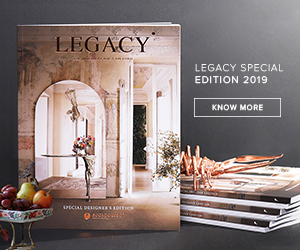 Today, we explore the trends for 2016 through 20 great examples of modern coffee tables which make or break the interior design set. Perfect for those that are searching for living room decor ideas. 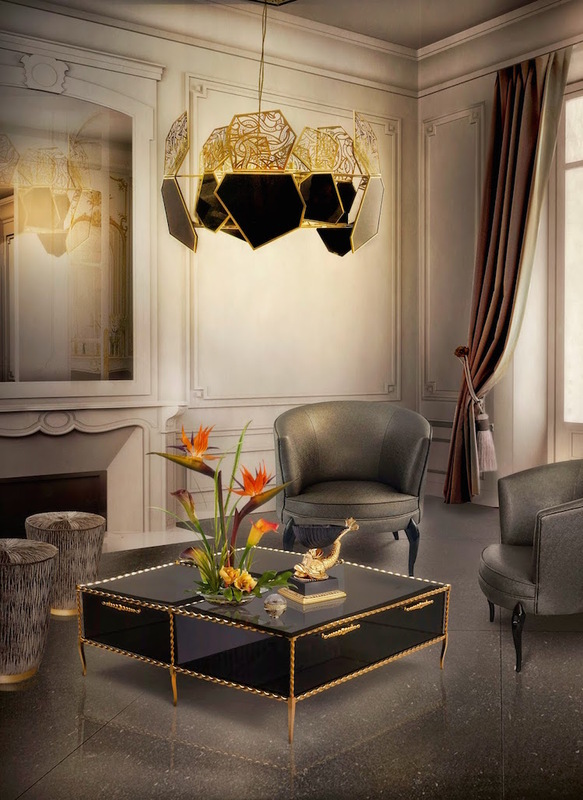 Longhi Coffee Table: glamour and luxury in golden tones. Great living room decor. 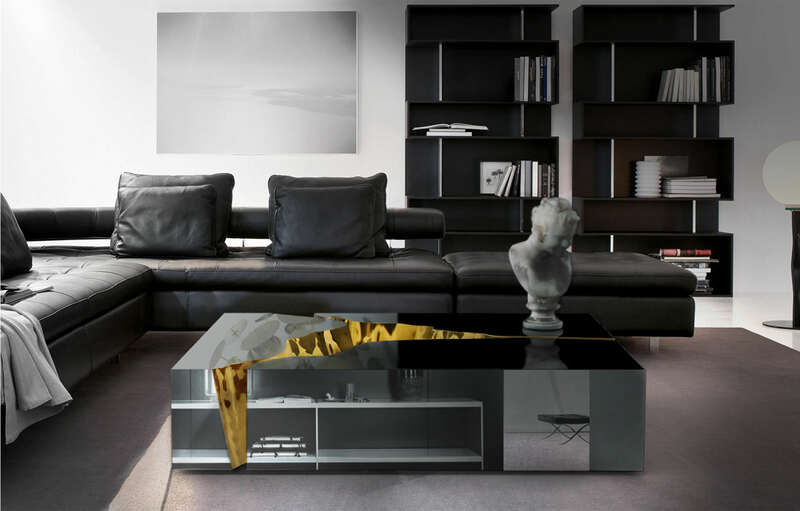 The Orrico rose gold hammered aluminium shows a great idea dor modern coffee tables, a statement design, handmade by skilled craftsmen. Lapiaz inspired this unique coffee table. The french word is the name given to the typical karst formations produced by surface dissolution of limestone or dolomite rocks. It can also be caused by freezing and thawing in cold climates. 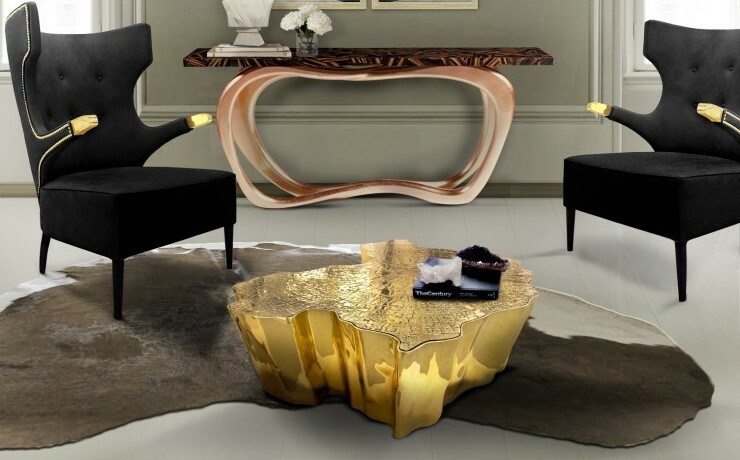 A contemporary center table that reflects the elegance and an exclusive design. is far from being simple. Coils of golden rope are wrapped along the edges, giving away to the translucent outline. A modern center table designed by Koket. Black and golden always look good. 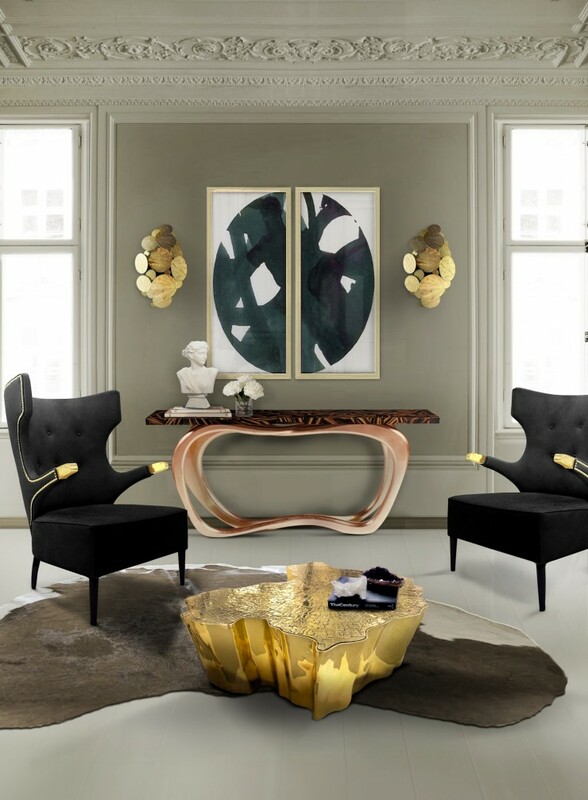 These modern center table has two colors create a luxurious and glamorous ambiance. The different veneer from the table top show the passage of the years, enriched by the texture of the brass bark. SEQUOIA proves the beauty of the action of time. A design by Brabbu. 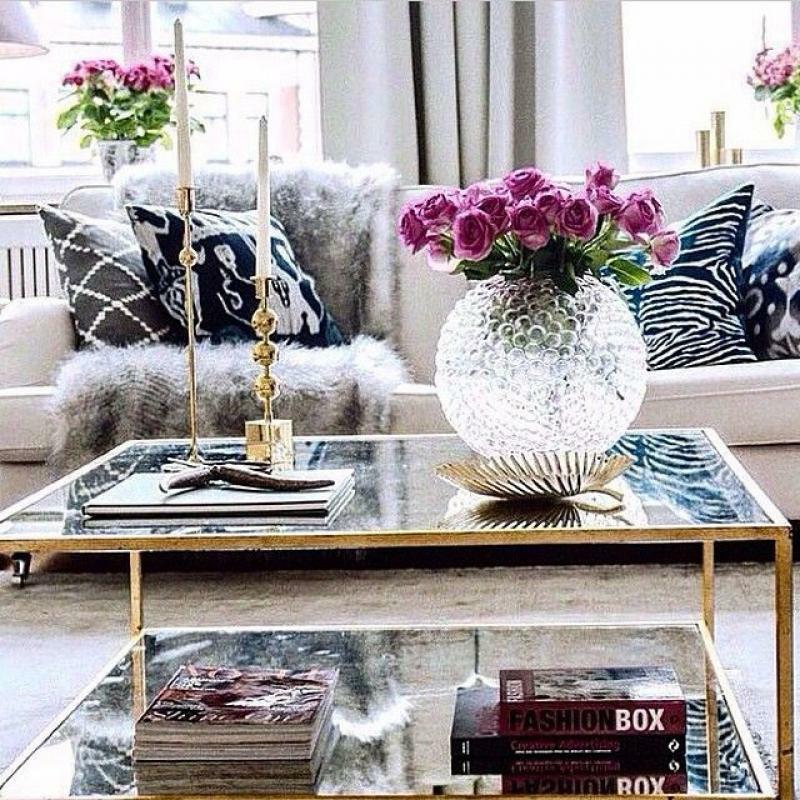 This is a chic coffee table that will give a feminine touch to every living room decor.